The South Sound is filled with great Farmer’s Markets and Community Supported Agriculture (CSA) groups. They’re all in full swing now. It’s a good thing for all of us. Typically the fruits and vegetables are grown organically. Since peaches, apples, sweet bell peppers, celery, nectarines, strawberries, cherries, pears, grapes spinach, lettuce and potatoes make up the “dirty dozen”, the ones grown with the most pesticides by corporate farms, these twelve fruits and vegetables are the best to buy at farmer’s markets and CSA’s. Put a sponge in the bottom of a container to help retain water; especially good in window boxes which tend to be shallow. Instead of just throwing banana peels on your rose bushes (yes, it’s good for them) put the peels in a blender with water and then put the liquid gunk around the roses. Liquid feed works faster. 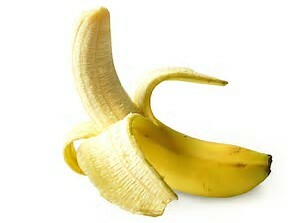 Banana peels contain nutrients which rose bushes love including calcium, magnesium, sulfur, phosphates and sodium. Mark a long handled shovel, fork or rake as if it was a yardstick. Use a black wax pen or an industrial sharpie so you only have to do it once. If there was ever a plant made for the South Sound, it’s the Hydrangea. They like mild temperatures (so far so good), some shade (we have plenty of that) and winter water (we excel). Best of all, there are so many Hydrangea varieties now available you can get one to fit any spot in your garden, even ones that only grow to 3 feet tall. But who wants that??? Hydrangeas are the shrub queens of gigantic flowers. The white flowered Hydrangea arborescens ‘Annabelle’ has big blousy blooms approaching basketball size. If you want blue, there is Hydrangea macrophylla ‘Big Daddy’ whose flowers are even larger. Both are fast growers to more than 6 feet wide and tall. You need to give them plenty of room but the reward is worth every square foot. If you’re tight on garden space or only garden in containers, dwarfs like Hydrangea macrophylla ‘Mini Penny’, Hydrangea m. ‘Pia’ or Hydrangea m. ‘Glowing Embers’ satisfies a hunger for Hydrangeas. It almost seems like an obligation to read the new Jane Goodall book, “Seeds of Hope”. This is her first botany book and the first time she shares her love and interest in plants. Living with Chimpanzees in Gombe, Africa, for more than 50 years has given her a unique perspective on the importance of a plant diverse planet. She does it without being too preachy or political. Her prose makes her science palatable. You won’t find many statistics but you will find plenty of anecdotes about her childhood brush with gardens and her continued interest in the roll of plants in our world. “Seeds of Hope” is a book about appreciation and optimism. Goodall touches on the importance of early plant hunters and their discoveries and the modern seed banks whose mission is to save every seed from every plant species from all over the world, assuring that none of the plants are lost. Goodall speaks with a soft but firm voice in “Seeds of Hope”. It is a modest autobiographical overview of her love and fascination with plants. 350 pages, Grand Central Publishing with foreword by Michael Pollan.